These are some references from the net to certain happenings with Hogwood, and DM. The following seems to do with their experiences in Czechslovakia.. I (Hogwood) used to do some translating for Kricka, the son of the composer, a very elegant man, who ran the Supraphon records. I met Milan Munclinger and his group, Venhoda ... At Christmas. David Munrow came to see me--he was very interested to see what was happening here and they all came to talk to him because he was already quite known for medieval music playing. So we did a little show on radio, It was very mutual exchange. ref There are many things to finish: interview with Chistopher Hogwood. This little show on radio may be the same one which DM mentioned in a letter to someone in authority in the BBC, and which appeared in Humphrey Carpenters book entitled Envy of the World if I recall correctly. Dorottya Fabian?s new book, Bach Performance Practice, 1945?1975 (Ashgate, 2003) contains a quotation from an interview which Christopher gave to Gerhard Persch? in 1984, translated by John Kehoe. Authenticity is not academic a conversation from 1984 with Christopher Hogwood, the guiding spirit of The Academy of Ancient Music. Opernwelt: Mr Hogwood, ?early? music in ?authentic sound? ? is that in fact as Neville Marriner once formulated it, ?very popular with the open-toed-sandals- and-brown-bread-set?, a ?macro-biotic? movement, so to speak, in the music scene? .............. suddenly I became in any case enormously interested in the harpsichord, if only still as a hobby. At Cambridge I studied Latin and Greek at first, and philosophy, I wanted to go in for an archaeological career. At all events, I met musicians like David Munrow, David Atherton and so on, and the meeting with Raymond Leppard was one of the deciding factors in switching to a music course. At first I specialised very much in baroque music, together with David Munrow, but on modern instruments. Then I went for a year to Prague, to rummage through the archives, and when I came back from there my interest in baroque music had lessened, I had somehow come up against a barrier, the barrier of what one can do in this area on modern instruments. 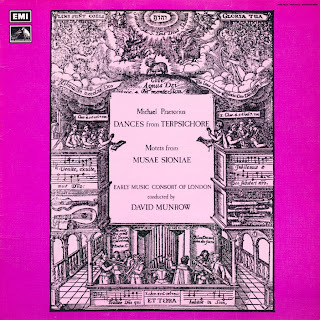 At the same time, David Munrow had gone the same way, and so we plunged into what was then for us the so exotic, if still hypothetical, sound world of mediaeval music. I played with the Early Music Consort for ten years. Alongside that I also began playing with Neville Marriner and his Academy of St-Martin-in-the-Fields, giving solo harpsichord recitals and writing a lot about music. For the reasons I have already given, my interest in mediaeval music became exhausted; the repertoire that I played with ?St Martins? aroused my attention more and more, together with the desire for an ?authentic sound?, which I had preserved from my involvement with mediaeval music. I tried increasingly to give my solo recitals on historical instruments, too, because the harpsichords built in modern times had a sound that one could only place in the realm of the imagination or, better, of toys. Opernwelt: How did ?The Academy of Ancient Music? come into being? ...... I went to Cambridge University in England to do modern music and to compose. One of the things you have to study there, which is a course that essentially hasn't changed since the 16th century, is acoustics: how instruments work and how concert halls are built. The person who taught that course was actually a climatologist, but he privately collected 18th century wind instruments. I was a flute player in those days, so he lent me an 18th-century flute, which I still have. And he had a tenant named Christopher Hogwood, who lived in the attic and who played the harpsichord. Chris was not there very much, because he was playing with David Munrow and on tour with the Early Music Consort. When I got to play the one keyed flute well enough and Chris was in town, we gave some concerts together, and I joined his Academy of Ancient Music. So I started to do early music probably around 1970-71.